Hello, my family of 6 will be visiting Crete in April 13th arrival on the 13th and departure on the 20th from Heraklion. We will look to explore the western side of the island. Please suggest an itinerary. General thoughts so far were to arrive and stay near Knossos palace 1 night. 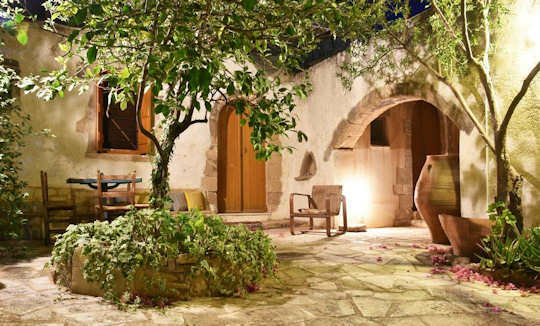 Then 3-4 nights in Chania and 2 nights in a village near Elafonisi. Then one night out last somewhere else maybe south coast on way back to Heraklion...what are your thoughts? We want authentic experience and love Greek culture and food....our kids are aged 9, 11, 13, 15 and well-travelled. Also a separate question - while in Chania I have seen the option to stay on a mountain overlooking town or right in old town area.....the one on the mountain is 15 min away ....just not sure what is best? We are glad to suggest some Trip Ideas below. This sounds like a wonderful trip for your whole family. We have suggested accommodation with links so you can find similar properties if you would prefer. 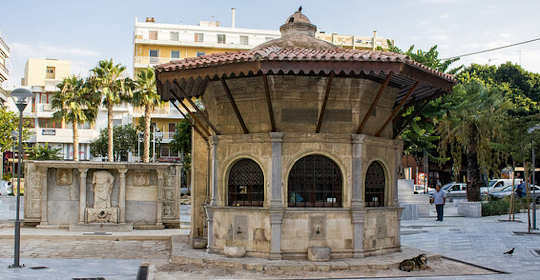 Visit old and new coffee houses in Heraklion Town. 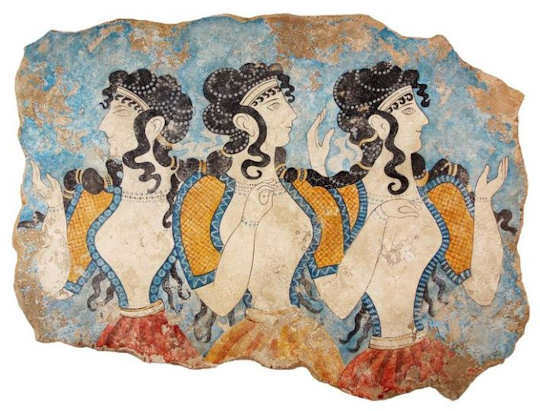 Knossos Palace was decorated with beautiful frescoes. Archanes Village is surrounded by farmland. 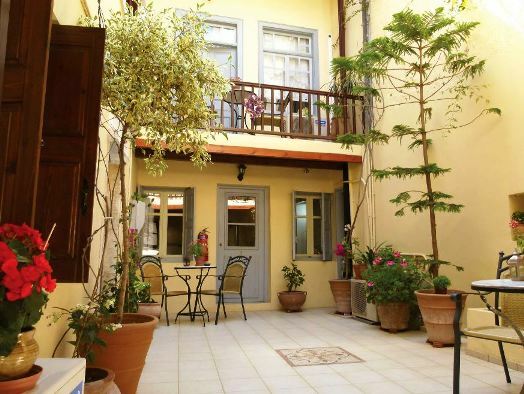 Villa Archanes is a comfortable and stylish B&B in Archanes Village near Heraklion. Chania Old Town is full of things to see and do - this is the Archaeological Museum. Madonna Studios are centrally located in the Old Town of Chania. 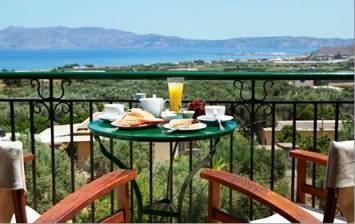 Hotel Helena is small with views over the Old Venetian Harbour of Chania. 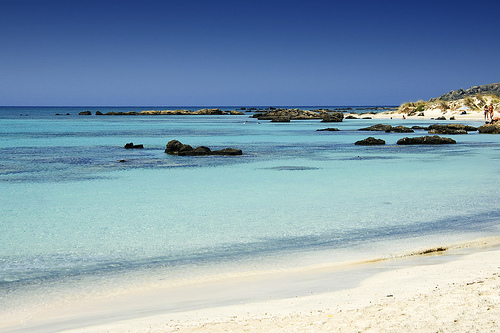 Elafonisi Beach is stunningly beautiful and natural. 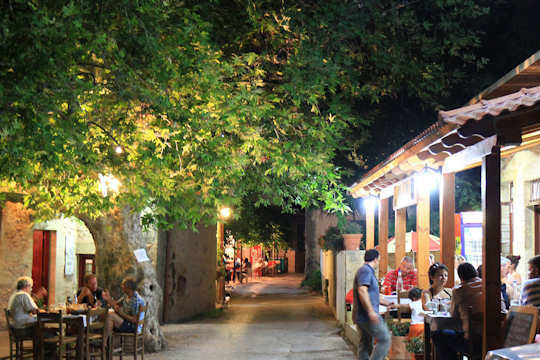 Crete Tourist Travel Tips - relax at the cafes and tavernas of Kaliviani Village at night. 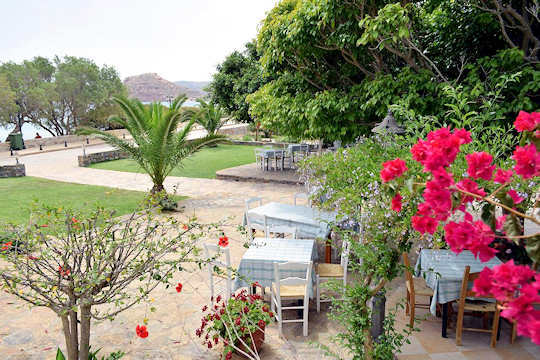 Kaliviani Traditional Guesthouse has its own taverna with views across the Bay of Kissamos. 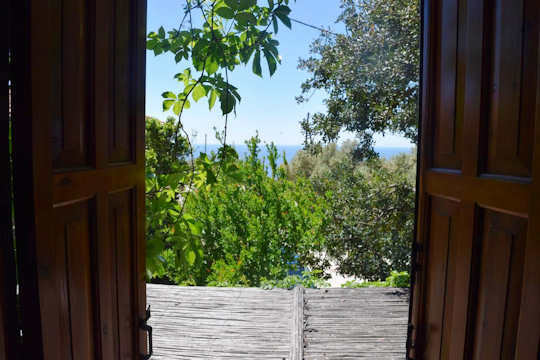 Enjoy privacy at the traditional Violetta Studios in Kaliviani Village. We are a family of four (our two kids are aged 12 and 8). We are arriving in Creta on the 15th of July until the 2nd of August. We really would like to be close to the beach. We can adapt to different type of accommodation. For Elounda we are aware it will be luxury and this is ok with us. For the rest we would rather guest houses. 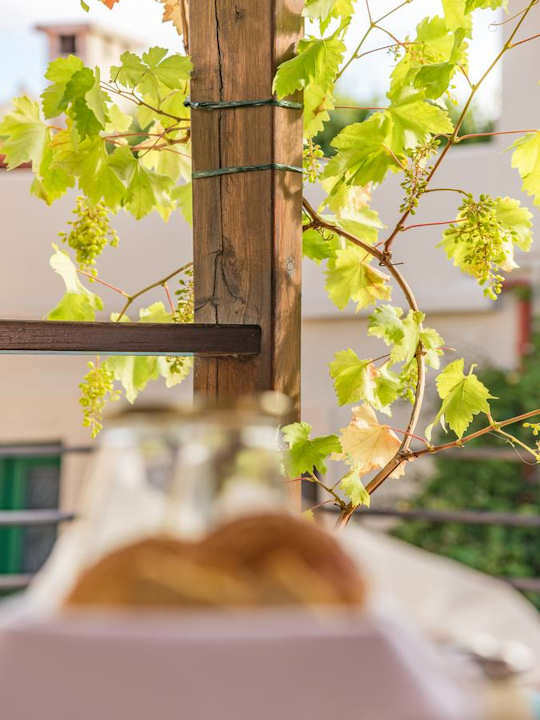 Your holiday in Crete sounds wonderful and we are happy to provide some suggestions below, starting in Ligres in Rethymnon and travelling to the east at Elounda and Chiona. Also on Agia Fotini Beach are Kionia Apartments right on the beach, but no guest houses. Just back from the beach is a homely home - a traditional Cretan home named Emilio's House which is lovely for your family. This is needing a car to drive to the beach. We suggest the Blue Palace Resort and Spa which is one of the best in Crete, and the Traditional Homes of Crete which are very Cretan. 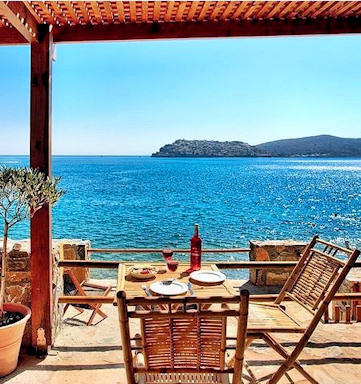 For beautiful cottages with their own private beach at your toes, select two of the Plaka Cottages by The Sea with views to Spinalonga and close to the characteristic village of Plaka with good tavernas. Yes, Chiona and Kouremenos Beach and the village of Palekastro offer a very different experience of Crete, in the quieter eastern part of the island. 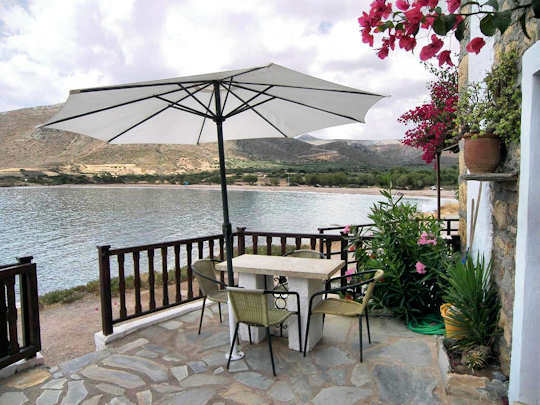 Here we suggest Grandes Apartments on Kouremenos Beach or Chiona Cottage right on the water. You might prefer the guesthouse in Palekastro House Margot, yet it is 2 km from the beach and you will need to drive a short way if you stay there. 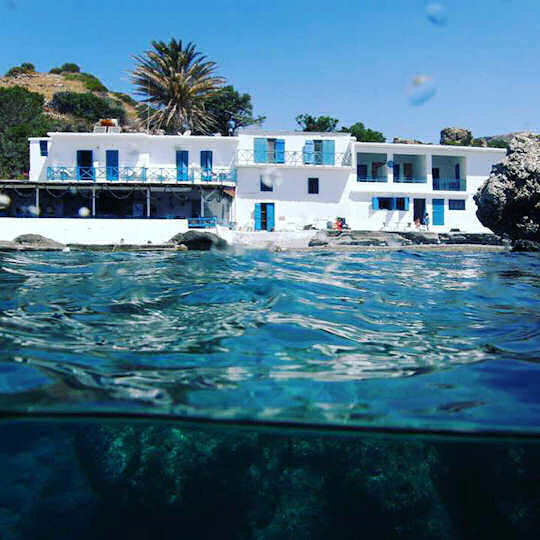 On a different beach in the east – Xerokambos – you might like Lithos Traditional Guesthouses which are a 5 minutes walk from the beach. Crete Tourist Travel Tips - here is your holiday at Agia Fotini, Elounda and Chiona Beach in pictures. 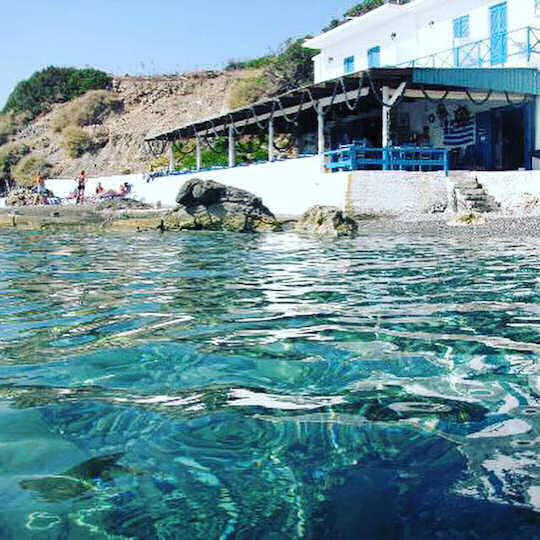 At Agia Fotia Taverna you can rent rooms above and enjoy this tiny little hidden beach. 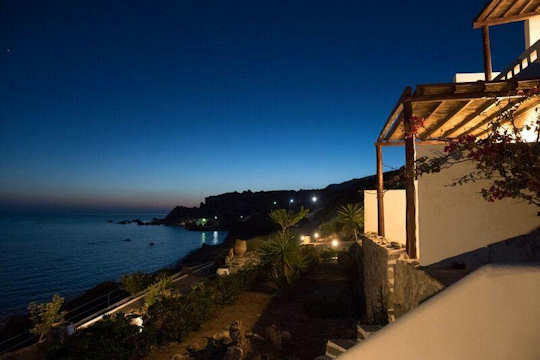 Kionia Apartments are set right on the beach of Agia Fotini in southern Crete. Emilio's House has a sea view at Agia Paraskivi and from here you can drive to Agia Fotini Beach and Triopetra Beach. Elounda is a simple fishing village which is now surrounded by some of the most luxurious resorts in Crete. Relax in luxury at the Blue Palace Resort and Spa in Elounda. Cottages by the Sea at Plaka near Elounda have their own access to the sea and views across the bay to Spinalonga Island. 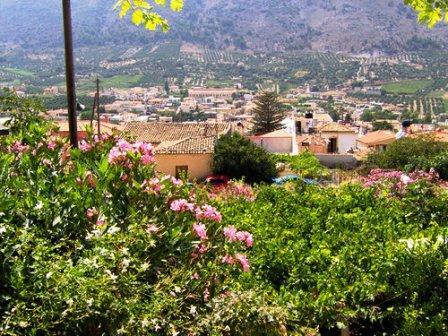 Palekastro Village is near to Chiona Beach in the east of Crete. Grandes Apartments at Kouremenos Beach are lovely and simple, comfortable rooms for enjoying your summer holiday just a few steps from the beach. Vai Palm Beach and Forest in eastern Crete is unique. Visit this beautiful sandy beach and lie under the shade of large palm trees. 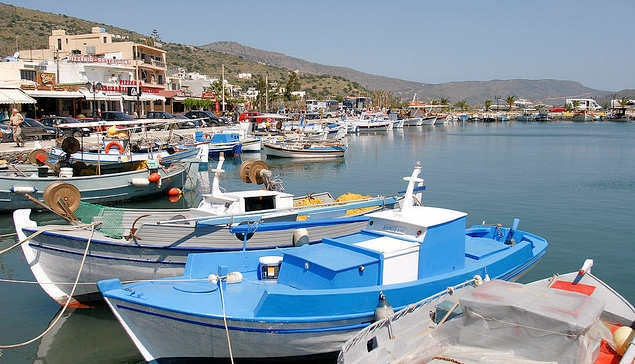 Crete Tourist Travel Tips - take a day tour to explore these magical places in Kriti. All your transport will be arranged and pick ups and drop offs organised to your accommodation. 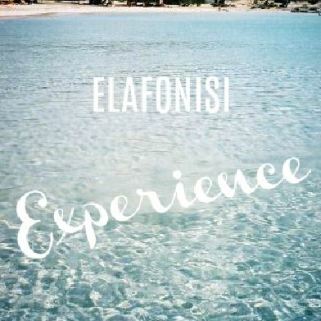 Take a day tour from Chania to visit Elafonisi Beach for the day. This is a pure natural beach with white sand and tiny islets to explore. Take a boat trip to the former leper colony of Spinalonga, the island sits off Elounda and close to Agios Nikolaos. This was the setting for the famous novel 'The Island'.